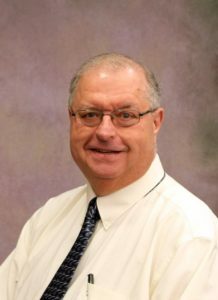 Dr. Callan’s academic affiliations include Michigan State School of Human Medicine- Behavioral Health division, adjunct field instructor and adjunct facility of Mott Community College- Psychology Department. He has extensive training in Cognitive Therapy from the Beck Institute of Cognitive Therapy & Research, Philadelphia, PA. His current academic and research interests include the neurobiological bases of psychotherapy, and subcortical influences in cognition and thought. In his clinical practice he specializes in Cognitive Behavioral Therapy (CBT) for adults and older adolescents with depression, anxiety, grief, life changing events, and PTSD. He also performs neuropsychological assessment with an emphasis in pediatric neuropsychology specializing in learning disorders and ADHD assessment. 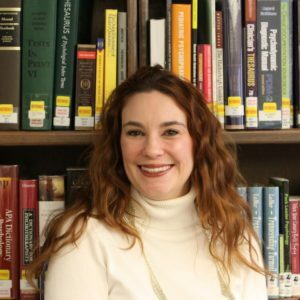 Dr. Callan supervised LLP clinicians and conducts training in Cognitive- Behavioral Therapy methods. Callan, P. D. (2011). The role of personality disorders in co-occurring disorders. One hour in-service presentation to the clinical staff at Catholic Charities Genesee and Shiawassee Counties, Flint, MI. Callan P. D., & LaGuire-Quinn (2011). Cognitive therapy: Nuts and bolts with application to CMH populations. One day seminar presented to the staff of Lapeer County Community Mental Health, Lapeer, MI. Callan, P. D. (2010). Orbital-ventral medial prefrontal cortex: Functions and neuropathways. Two hour presentation to staff at Performance Psychology Services, Farmington Hills, MI. Callan, P. D. (2010). Working memory vs. declarative memory differences. Two hour presentation to staff at Performance Psychology Services, Farmington Hills, MI. Callan, P. D. (2010). Cognitive effects of long-term marijuana use: Neuropsychological perspective. One hour presentation to staff at Catholic Charities of Genesee and Shiawassee Counties, Flint, MI. Callan, P. D. (2008). Developmental aspects of anxiety disorders, learning disorders, and depression. Two hour presentation to staff at NeuroHealth P.C. Crittenden Hospital, Troy, MI. Helping clinical psychology graduate students master a body of knowledge relevant to this field is first. I help them to conceptualize, synthesize and apply that knowledge to the art and practice of psychotherapy and psychological assessment. I rely on the Socratic Method of teaching and learning and encourage dialogue to expand one’s understanding and frame of reference. There are four disparate skills sets that need to be mastered during your doctoral level graduate training. First, you must master the academic information, which is a lot like college, but more in depth and more reading. Second, is learning how to transform academic knowledge into the practice of psychotherapy as well as learning how to function as a clinical psychologist. Third, is learning how to conduct scientific inquiry in the form of researching and writing a dissertation. The fourth skill is synthesizing all of the above information in order to pass the licensing exam (EPPP). My advice to student is to reading more than the recommended readings from the various syllabi and become familiar with journals and publication outside clinical psychology (e.g. neuroscience, psychiatry, health psychology, cognitive psychology, etc) that may inform your thinking as a clinical psychologist.